STUNNING NW CORNER SUBPENTHOUSE at the ALTO! 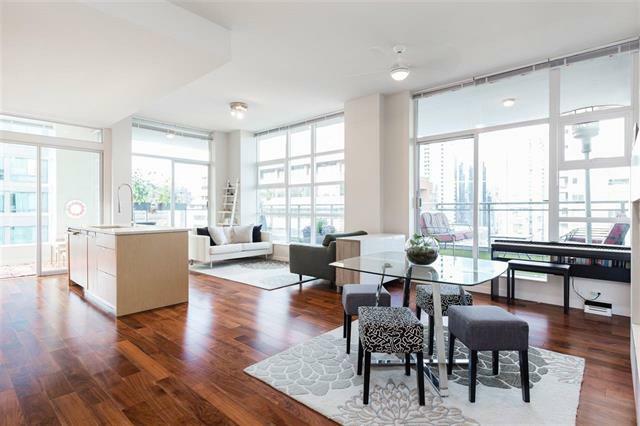 Absolutely breathtaking 2BD+ 2BA+Den+Solarium Home, 1251 SF, huge open layout with LOFT Style 10FT ceiling heights, beautiful hardwood/ flooring throughout, Chef's kitch. with polished stone counter tops & custom cabinetry, Liebehr 2 dr Fridge, Gas stove top and 2 Electrolux ovens. This home is fully A/C'd and has Separated bedrooms for ultimate privacy, spa like bathrooms with double sinks in ensuite. Home includes 2 side by side parking and SL. Well managed boutique building on the edge of downtown where Yaletown meets the Westend, close to many parks, shopping and seawall. The Alto has a beautiful rooftop garden & terrace w/ F/P & BBQ. A pleasure to show! Open houses: Fri Nov 9, 10am-nooon & Sat Nov 10, 1:30-4:30pm.